Why Does The iPhone X Have A Notch? Here's The Truth! You are at:Home»iPhone»Why Does The iPhone X Have A Notch? Here’s The Truth! Why Does The iPhone X Have A Notch? Here’s The Truth! Why does the iPhone X have a notch? How can I clean the iPhone X notch and keep it protected? Can I hide or remove the iPhone X black bar? The iPhone X has a notch because it houses eight small components of your iPhone. The dot projector, infrared camera, flood illuminator, proximity sensor, ambient light sensor, 7 MP (megapixel) camera, front microphone, and one of your iPhone’s speakers are all located in this little black bar on your iPhone X. Many of these components work together when you use Face ID on your iPhone X. As you can imagine, if this black bar on your iPhone X is dirty or damaged, it can cause Face ID or other key features on your iPhone to stop working. It’s important to make sure that the notch is always kept clean, and you can keep it clean by regularly wiping down your iPhone X with a microfiber cloth. If you want some extra protection for your iPhone X, we recommend purchasing an iPhone X case to keep those small components in the notch safe in case you drop your iPhone. You spent a lot of money on your iPhone X, you probably want to keep it in good shape! We’ve hand-picked many different awesome iPhone cases, which you could find in the Payette Forward Storefront. Can I Remove The Notch On My iPhone X? Currently, there is no built-in feature that removes the notch from your iPhone X. 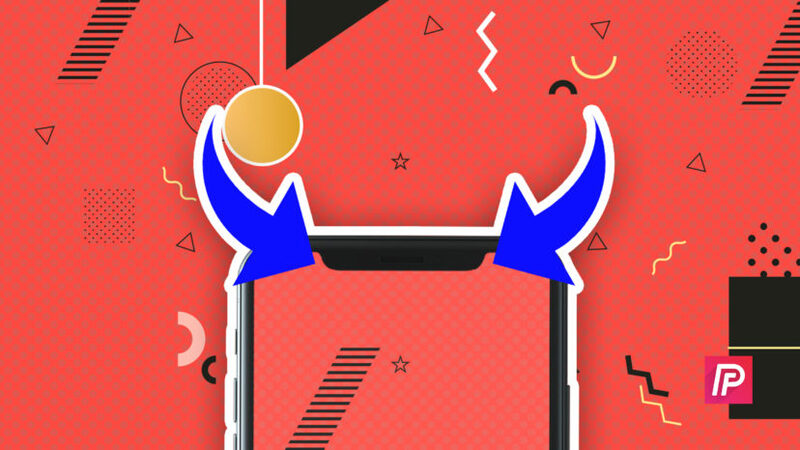 However, you can download the Notch Remover app in the iPhone App Store which will extend the black bar horizontally across the entire iPhone X display. Now you know everything you need to know about the black bar on your iPhone X. If anyone asks you, “Why does the iPhone X have a notch?”, you can share this article with them! If you have any other questions about your iPhone X, leave them in the comments section below. Previous ArticleMy iPhone Is Dropping Calls! Here’s The Real Fix. Next Article Control Center Not Working On iPhone? Here’s The Fix!